1. 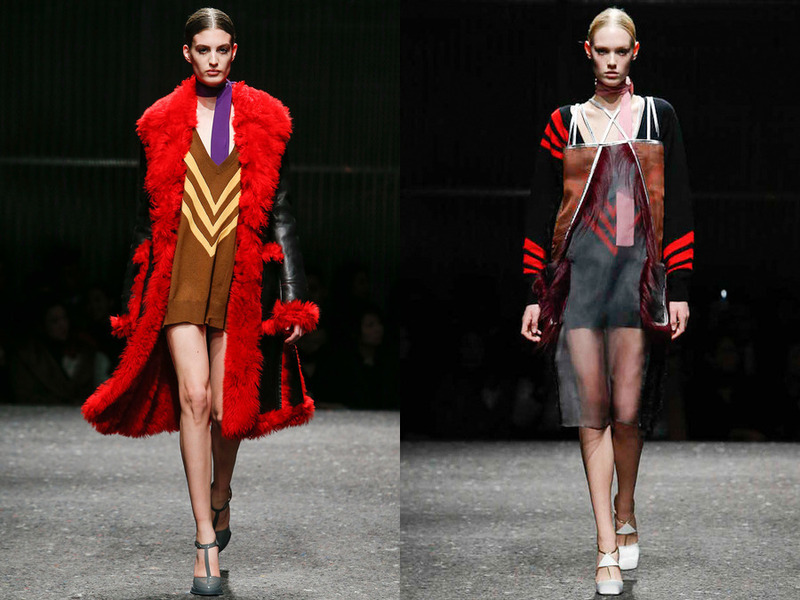 Per usual, Miuccia Prada’s collection stole the whole damn show. And the entirety of Milan Fashion Week. The FW14 runway remixes the greatest hits of the early ‘30s and ‘70s; Art Deco industrial prints were mixed in with the references to the German avant-garde of Werner Fassbinder‘s films. 2. Karl Lagerfeld’s FW14 collection for Fendi didn’t disappoint either. The show notes tell us the vision is brutal poetry, and vague as that may be, the result was a great blend of textiles—bonded mesh, tweed, and patchwork patent and leather bombers.